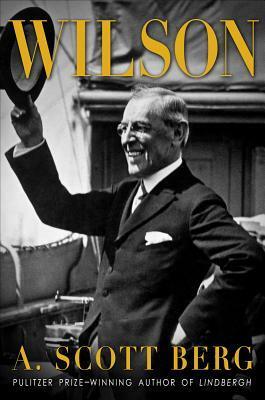 “Wilson” is A. Scott Berg’s full-scale biography of the 28th president which was published in 2013. Like Wilson, Berg was a graduate of Princeton University. He is best-known for his 1998 Pulitzer Prize-winning biography “Lindbergh” but has also written about Samuel Goldwyn and Katharine Hepburn. Taking more than a decade to research and write, “Wilson” was sparked by the author’s lifelong affinity for Wilson and by Berg’s service on Princeton’s Board of Trustees. Wilson, of course, was not just a graduate of Berg’s alma mater – he also taught at Princeton for more than a decade before serving as its 13th president. With unique access to the personal papers of Wilson’s physician – as well as those of Wilson’s second daughter – Berg is able to explore terrain inaccessible to previous biographers. But while the book’s publisher promises to “fill in missing pieces” and “cast new light on his entire life” the end result is far less sensational. There is no dramatic re-appraisal of Wilson or his legacy. Instead, Berg tells a mostly familiar story in a unique and colorful way. 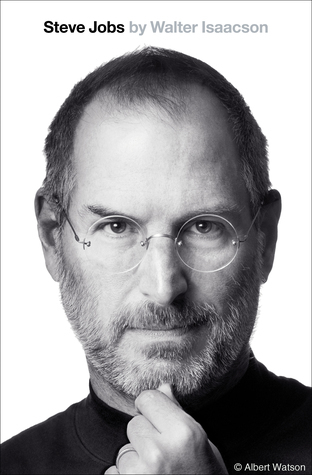 This biography’s key strength may well be the quality of Berg’s prose. He is a gifted, engaging writer and an excellent storyteller. By adding hundreds of new details and nuances to Wilson’s world, Berg adds texture and context not found in other Wilson biographies. Nothing earth-shattering is revealed, but Berg is able to add vibrancy and vitality to Wilson’s life and surroundings. Berg is also particularly adept at introducing new characters. Unlike many biographers who almost ignore ancillary cast members, Berg provides a compelling, detailed background for nearly everyone who will prove important in his narrative. Figures such as William Jennings Bryan, Edith Galt, Charles Hughes and Georges Clemenceau are among those best introduced to the reader. In addition, Berg delivers the most comprehensible (if not comprehensive) description of the tension between the United States and Mexico in Wilson’s early presidency and probably provides the best description of World War I to be found in any Wilson biography. This includes not only an appreciation for tactical elements of the war as well as its enormous human cost but also a terrific explanation of America’s mobilization for the war. Finally, Berg provides a richly detailed and revealing portrait of the president’s condition after being incapacitated by a stroke during his second term. Despite his reverence for Wilson, Berg is quite critical of Wilson and his closest friends and family for their respective roles in the cover-up that allowed Wilson to remain in office while struggling to survive as a hollow shell of his former self. Like most of Wilson’s biographers, Berg is clearly a huge fan of this high-minded and, ultimately, ill-fated president. And while he liberally points out Wilson’s shortcomings in the book’s earliest pages, Berg subsequently offers excuses for Wilson’s failures and tiptoes delicately through a number of potentially unpleasant topics (Wilson’s attitude toward racial issues and his possible extra-marital affair to name just two). Based on eyewitness testimony from previous readers I was well-prepared for this biography to drip with admiration for its subject. But happily it proved somewhat less adoring than I feared. Nonetheless, Berg is adept at finding the silver lining in every Wilson encounter and sometimes fails to fully appreciate the dark clouds they surround. Berg is also prone to emphasizing color and context at the expense of penetrating political observations and insight. His biography of Wilson is long on breathtaking scenery and relatively short on analysis. This is particularly true of Wilson’s reform-oriented presidency at Princeton and his impressive track record of domestic successes in his first term as the nation’s president. This makes for a more sprightly reading experience than might be expected from a book of 743 pages but also results in less potency for a historically-minded reader. The scene-setting and the opportunity to see the world from Wilson’s perspective prove rewarding. But while you get to know Wilson well, you never truly understand him. Finally, “Wilson” is missing a critical ingredient for a biography that seeks to recast Wilson’s historical portrait: a deliberate and thorough review of his legacy. Berg provides numerous early clues that convey his view of Wilson’s place in history, but there is virtually no concluding analysis of his mark on the nation – or the world. And given Berg’s apparent mission, that is a shame. Overall, A. Scott Berg’s “Wilson” is an excellent biography for fans of great writing…but will prove disappointing for a more academically-oriented audience. As a ruthlessly balanced judge of Wilson and his legacy, Berg’s effort falls short. But as a colorful account of Wilson – and the world in which he lived – there may no better.